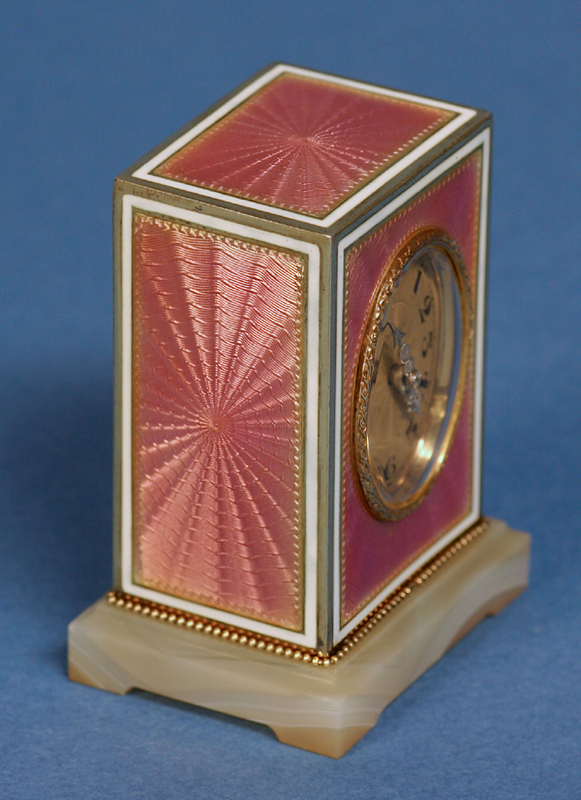 A very nice early 20th century miniature Swiss desk clock retailed by Asprey. 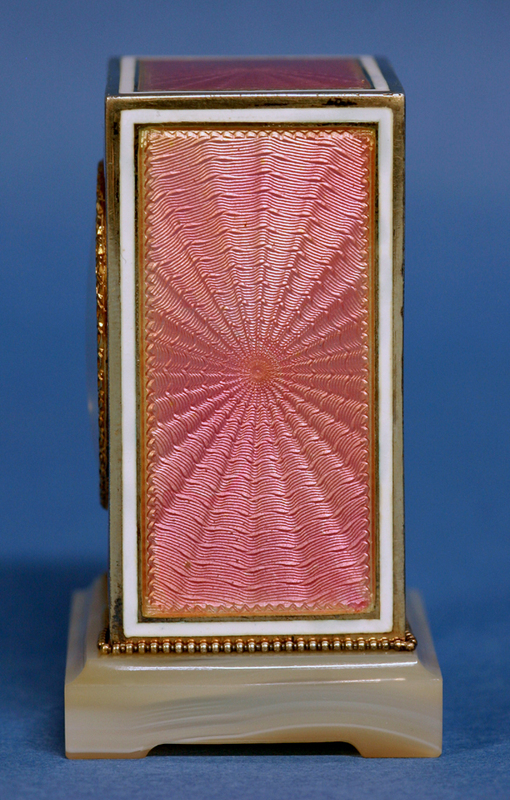 The silver-gilt case has pink guioche enamel panels featuring engraved designs radiating from a central point bordered by decorative gold bands and white enamel. 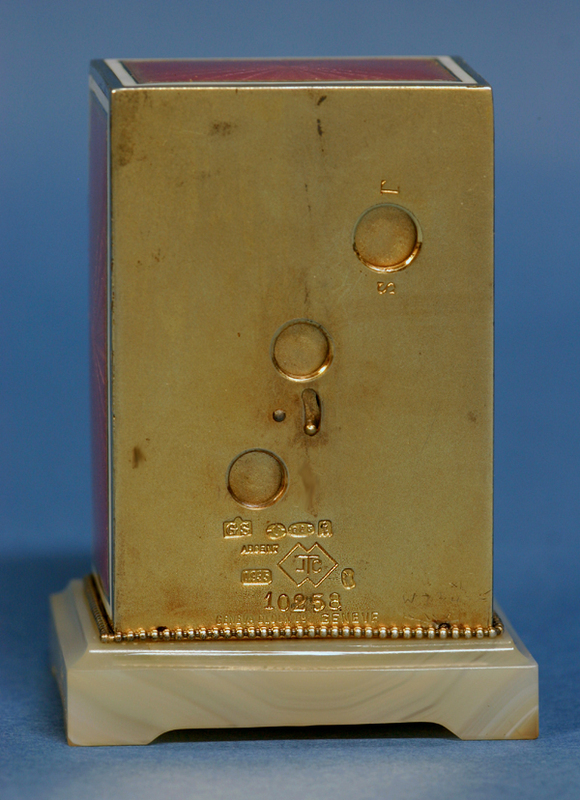 The back plate has numerous marks that include the import and date marks for England in 1924, ‘JTC’, ‘935’, ‘10258’ and ‘Geneva Clock Co.’. It sits upon a molded quartz base with a gilt-silver beaded band. 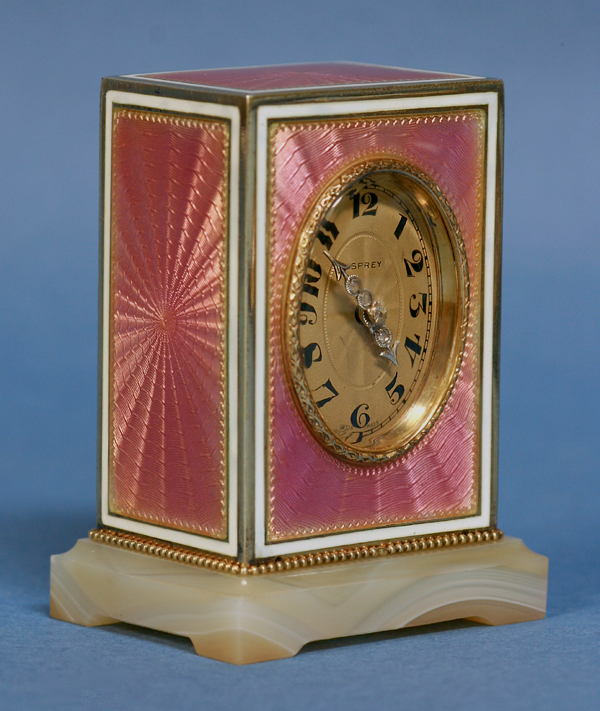 The oval gilt dial has an engraved center, a decorative silver bezel, diamond-mounted hands, Arabic numbers for the hours and is signed by the retailer, Asprey. The extremely high quality jeweled eight-day movement is wound, set and adjusted through the shuttered back. The firm Asprey always offered the highest quality pieces. They rivaled such firms as Cartier and Tiffany and are noteworthy for the consistently superb quality of their pieces.